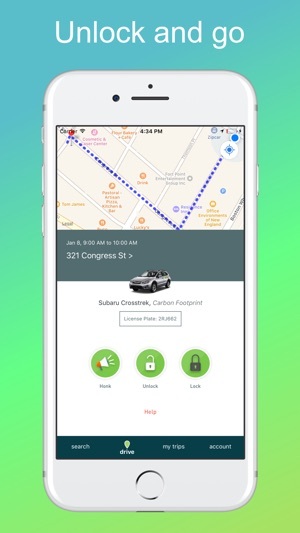 With the free Zipcar app, you can find cars and vans in your neighborhood and across the globe—and (if you’re a member) reserve and unlock them, too. Gas, insurance, mileage, and dedicated parking are included in every reservation. 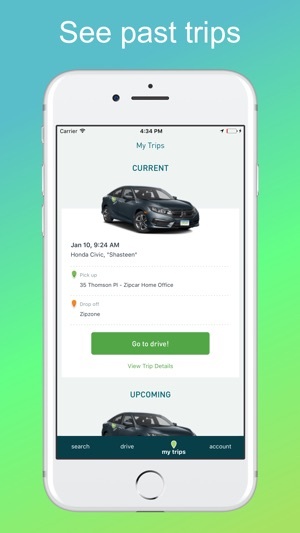 Download the app to see which Zipcars live near you and learn more about the service. Then join to reserve, honk, and unlock Zipcars with your iPhone. To hear what current members are saying and join the conversation, find us on Facebook or Twitter (@Zipcar). To learn more about Zipcar or to sign up, visit zipcar.com. Thanks for using Zipcar! We’ve updated our booking flow to give you the option to add a trip related memo on-screen. In some cases this may be required by your account holder. We’ve also made improvements to the Flex end trip experience (Flex service is only available in London at this time). Was a member of zipcar community for about 2 years but cancelled this morning. Customer service has gone downhill and the supervisors do not car. A ticket violation was issued to a vehicle that I had under my name during a commuter plan bill cycle. Problem? The violation was issued in East Hampton NY, and the vehicle in question was not even the right color, or model yet Zipcar paid the fine only because the plates were the same but did not bother to confirm the state in which the plates were issued. They them charge me for the violation because they failed to notify whoever had the vehicle. After getting off the phone with the courthouse they requested me to retrieve all the information for my vehicle so the ticket could be dismissed. Problem? Zipcar avoids, beats around or pretends to write the information but does not comply with giving the information. They ignored my emails, supervisors dont care, and I have requested in writing what is needed and they continue to ignore it. After reporting to customer service many times over the phone and email, again no answers. This just proves again, that this is a company going downhill with customer service and officially terminated and cut all ties with Zipcar. I would rather go to Enterprise car share over this nonsense. I DO NOT recommend this service, I DO NOT recommend this company moving forward. Save your money. HORRIBLE CUSTOMER SERVICE AND WAY OVER PRICED! I’ve only been a member with you guys for less than a month and have spent roughly $1200 renting your vehicles! I want to express how much i regret not using a different service than Zipcar! Every time I’ve been in one they have been extremely dirty with debris, smoke odor, and trash ! Not to mention a couple of them have even had service due lights on! One being “transmission error”? You need to come up with some way or incentive to make other Zipcar users return the vehicles clean! I took my little spare time and money that I have YET AGAIN as I have done with each of your cars I’ve rented and made sure to clean up debris, wipe it down with armor all, vacuum them, and cleaned the windows but I’m not going to continue to do so if it’s not enforced or regulated to others! Especially with the HORRIBLE customer service I receive EVERY time I have to call your company. The agents are rude and don’t care nor listen to our comments! I EVEN HAD TO USE PERSONAL MONEY TO GAS UP because the gas card was not in the car!Considering how ungodly expensive your service is to rent a car for a day you’d think that Zipcar would be on top of issues like these but that’s unfortunately not the case. To say the least I am VERY disappointed and honestly don’t know if I will even continue to use this service! We’re very sorry to hear that you’ve had a less than pleasant experience. We appreciate your feedback. Feedback like yours is important in helping us understand and fix these types of issues for others in the future. 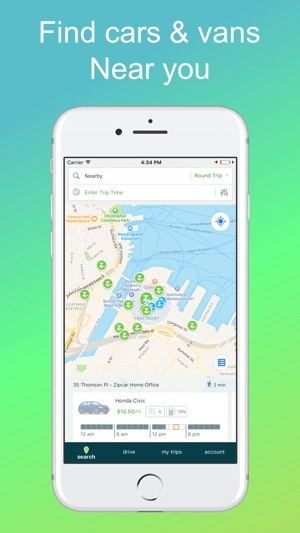 To make sure your experience moves beyond the app store please visit us at support.zipcar.com or give us a call at 866.4.ZIPCAR. If you have specific feedback about the Zipcar App, feel free to update the review.